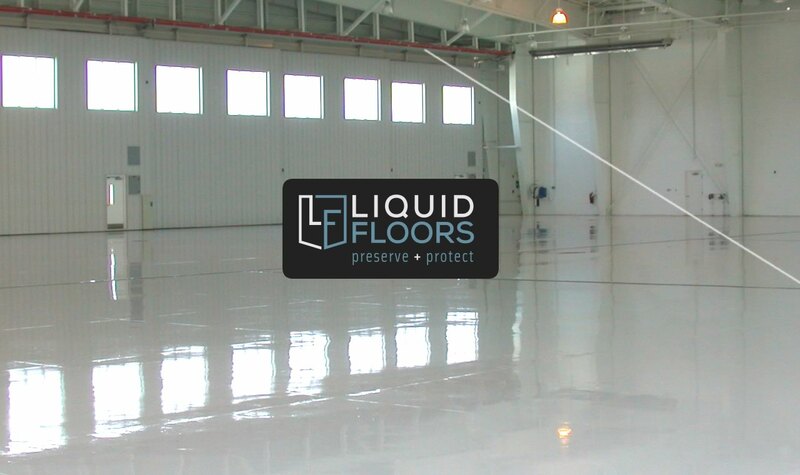 At Liquid Floors, we attempt to resolve every flooring issue in the same way we would treat on our own floors. 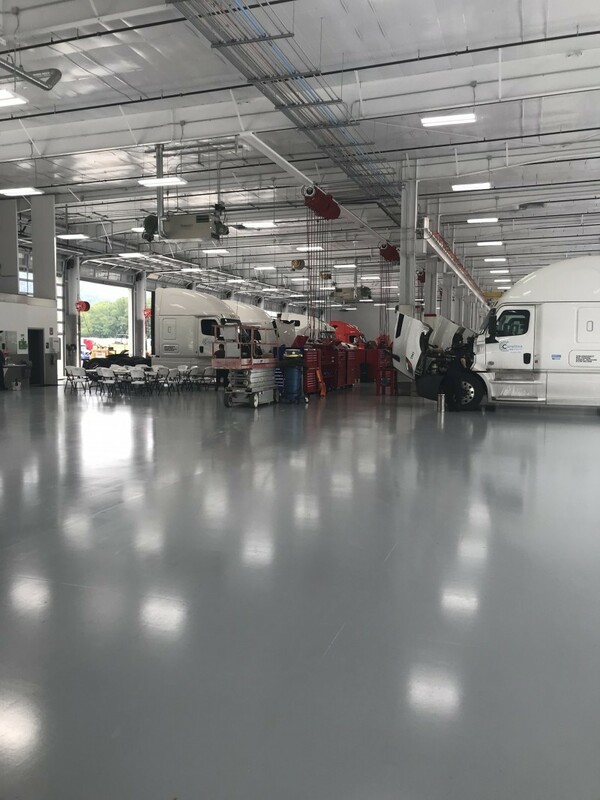 In this particular case study, we were asked to quote epoxy floor coating installation for a new truck maintenance shop. 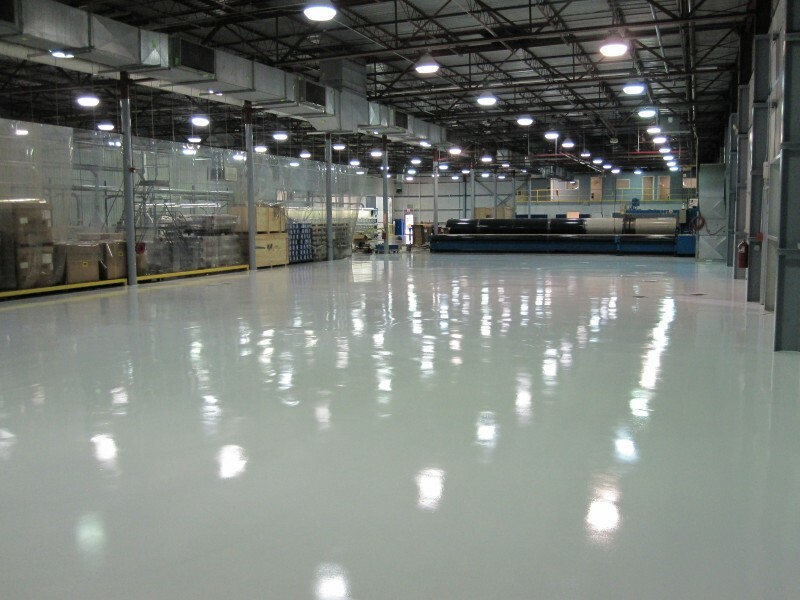 One of our competitors had suggested a trowel down epoxy resurfacer. The reason this competitor gave had to do with the abusive environment of this particular shop and the need for a system that could stand up to such an environment. 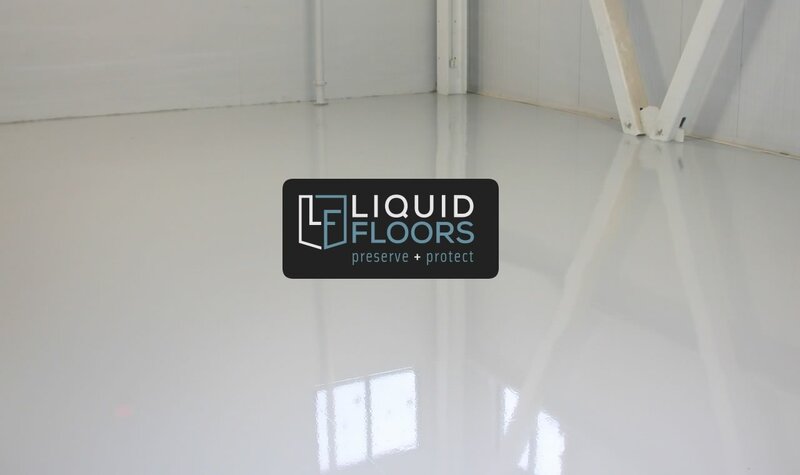 When Liquid Floors was called in we did a thorough examination of the property. 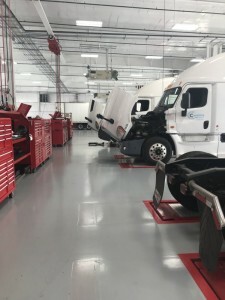 Knowing that their concrete was essentially brand-new and in perfect shape, we did not see the need to add extra costs by installing an unnecessary system over perfectly good concrete. 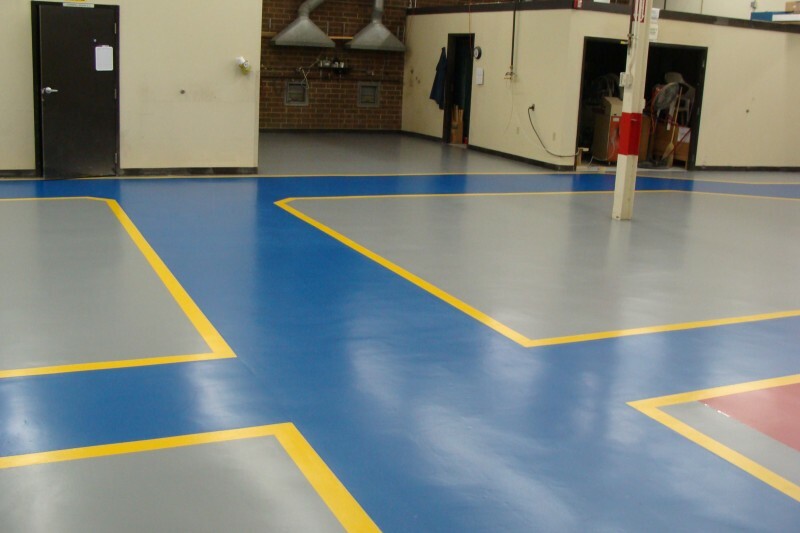 Epoxy coatings are used to protect the concrete – prevent oils, brake cleaner, etc.. from penetrating the concrete. 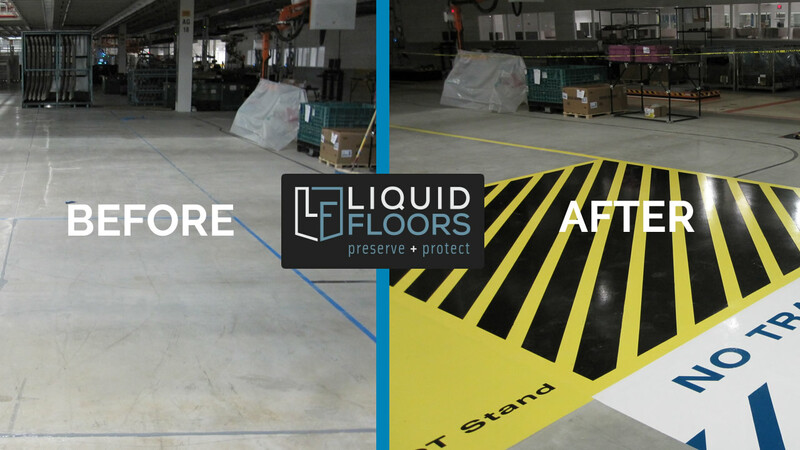 When you install an epoxy trowel down, it STILL has to be protected with epoxy coating. The same thing we put direct to concrete. 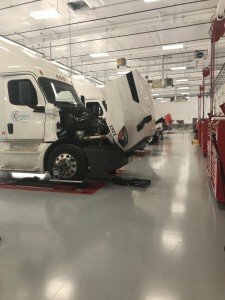 This was an extra unnecessary step and expense our client did not need. 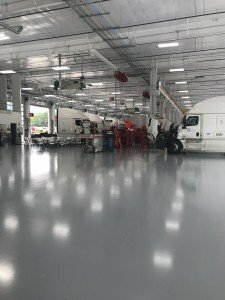 Diamond Grinding of the new concrete to ensure proper epoxy adhesion. Clean and Caulk all Joints. Install Epoxy at 15 mils. Our installation was 1/3 the cost of the other system, yet provided the same durability, look and result.